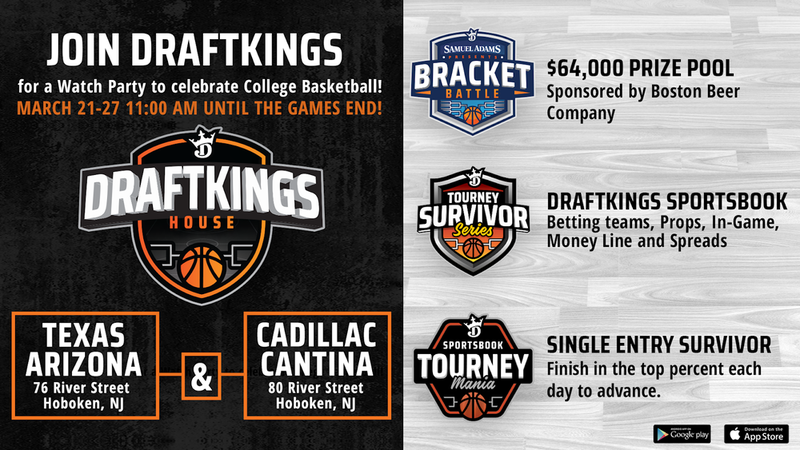 Cadillac Cantina is the official Hoboken HOME of Draft Kings for MARCH MADNESS 2019. Join Draft Kings for a Watch party to celebrate college basketball from thursday March 21 - March 27 from 11am until the games end! Celebrity guests all weekend, $64,000 tournament challenge, drink and food specials all weekend. Fill out the form to reserve your space below.